By clicking the Continue button above, I certify that I have read the CME/CE statements below. Patients with idiopathic pulmonary fibrosis (IPF) continue to suffer unacceptable delays in diagnoses and initiations of optimal treatments that can positively impact morbidity and mortality. Radiologists play a critical role in the accurate interpretation of high-resolution computed tomography (HRCT) scans and are essential in identifying candidates for agents approved for the treatment of IPF. 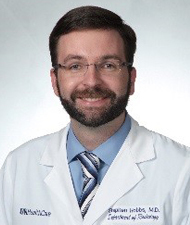 Because more than 80% of referring physicians rely on radiologists’ interpretations of CT scans all or most of the time, it is essential that radiologists are aware of the clinical features and distinct radiology pattern of IPF and are able to distinguish IPF from other idiopathic interstitial pneumonias (IIPs) and lung-disease patients. 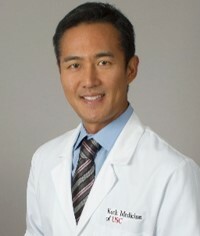 Chris Lee, MD is a cardiothoracic radiologist and Associate Professor of Clinical Radiology at the Keck School of Medicine of the University of Southern California (USC). He is Director of the Cardiothoracic Imaging and Intervention Fellowship at USC and Director of the USC Lung Cancer Screening Program. Dr. Lee’s research and academic interests include lung-cancer screening, interstitial lung disease, thoracic interventions, and advanced cardiac imaging with CT/MRI. He has presented at numerous local, national, and international conferences, and he has authored many publications pertaining to his interests. A native of California, Dr. Lee received both his undergraduate and medical training at the University of California Los Angeles (UCLA). Dr. Lee remained at UCLA for both his diagnostic radiology residency and thoracic imaging fellowship before moving across town to become a faculty member at Keck Medicine of USC. This activity is intended for community radiologists and radiologic technologists involved with the diagnosis of lung disease. The Potomac Center for Medical Education designates this enduring material for a maximum of 1.0 AMA PRA Category 1 CreditTM. Physicians should claim only the credit commensurate with the extent of their participation in the activity. There is no fee for this activity. To receive credit, participants must take the pre-test, view this CME/CE activity in its entirety, and then complete the post-test, with a score of 75% or better, and evaluation. The estimated time for completion of this activity is 1 hour. To receive their certificates, participants must demonstrate mastery of the presented material via the post-test. Participant is allowed to take the post-test three times. The activity is supported by an independent education grant from Boehringer Ingelheim, Inc.